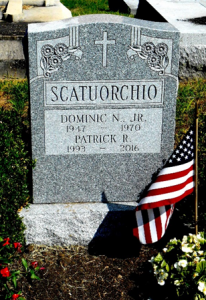 At every Memorial Day ceremony in Spring Lake, New Jersey, it is a given that you’ll see the Scatourchio Family. Since I was a child, whether having the honor to hold a parade flag as a 7-year old Brownie or pushing a stroller as an adult, I have watched my Aunt Eileen, wearing her iconic floppy straw hat and sitting elegantly under the blistering sun in front of the town’s Veterans’ Memorial. Over the years, we watch her children and grandchildren bring up flower sprays in honor of their uncle, United States Army Chief Warrant Officer Dominic Scatourchio, who served with the 336th Assault Helicopter Company in Vietnam. He was killed in action March 30, 1970. Aunt Eileen’s grandson, Patrick Scatourchio, was one of those kids you could not take your eyes off. It is not an easy task for kids to sit on the hot pavement listening to long speeches in their uncomfortable scout or band uniforms, holding heavy parade flag poles and instruments. Year after year, Patrick would need to be poked by his teacher when it was time to bring up the flower sprays. Watching Patrick get poked by his teacher made us chuckle. A few weekends ago, I shared my observation with my cousin Pat, Patrick’s father. Pat told me that Patrick hated going to these ceremonies because he’d much rather be surfing. We each shared that, as kids, we both felt the same exact way—we wanted to be at the beach! Pat also grew up having the task of bringing up the flower sprays or holding the parade flags. After sharing a laugh about this, Pat got serious. He said, “Pam, can you believe the headline I read yesterday, “Opioid Overdose Deaths Shares Comparisons to Vietnam War.” When I got home, I did a Google search and found some startling statistics. The headline is true—last year alone more Americans died from heroin and opioid-related deaths (62,500) than died in the entire Vietnam War (58,220). [i] New Jersey statistics mirror these national numbers with 1,487 NJ Vietnam causalities and 1,600 lives lost in 2015 to opioid overdoses. [ii][iii] This astounding comparison had a sobering impact on Pat because on March 22, 2016 we lost Patrick, who was 22, to an opioid overdose. Can Narcan Alone Save a Life? Pat buried his son at a time when the drug Narcan became widely available to family members through the Overdose Protection Act. The entire family was trained how to use naloxone and equipped with kits of the drug. Pat said the family felt ready to handle any overdose crisis with Patrick because they learned the warning signs of opioid overdose. Unfortunately, Patrick overdosed the day he came home from rehab, while his parents were shopping for items needed for Easter Sunday only a few days away. The family was told by the medical examiner that Narcan may not have saved his life. Pat has since learned about other options for treatment and recovery. Over a year and a half after his son’s death, Pat has become involved with several groups and organizations working to educate the public on addiction and opioid treatment options. Pat is on a mission to educate parents and kids. 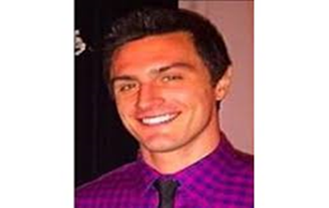 He has learned so much about prevention, treatment, and recovery options, many of which were not widely known or available to Patrick or the family. For instance, Pat was not familiar with “harm reduction” and other roads to recovery besides the 12-step philosophy. Pat has learned from experts and clinicians that medication-assisted treatment (MAT) works, and for some can be the key to staying on the road to recovery. According to SAMHSA, MAT is a safe and effective strategy that combines behavioral therapy with medication to treat substance use disorders. Since Patrick’s death, Pat says it is “bittersweet” to be sharing this information with other families about using medication, like Methadone, to assist in recovery. Pat told me that most of the young adults he encounters choose or only know about treatment that focuses on abstinence and 12 steps. Pat finds, because alcoholism is an addiction that many in the Jersey Shore area are most familiar with, the treatment for opioid addiction tends to be the same in our area. The residential treatment facility and halfway house Patrick attended were based on 12-step philosophy, which stressed full sobriety, and did not offer MAT. Support for MAT has grown quickly in recent years, as addiction has become recognized as a crisis in New Jersey. The NJ law states, “residential facilities that treat or house individuals with substance use disorders could no longer exclude patients receiving medication-assisted treatment”. Now in New Jersey, denying admission into a treatment facility simply because an individual is receiving MAT is no longer permitted. Further, the NJ law states “The science of addiction medicine is increasingly finding that substance use disorders can be most effectively treated with a combination of counseling, peer support, and medication”. What we are hearing from news sources is, “all of us will know someone who has died from an opioid overdose.” My cousin Pat feels strongly that what he is doing to educate families on accessing treatment, such as, MAT, will help others achieve long-term recovery. I’m sorry about this family tragedy. I have a cousin whose son also died of and overdose. The more these stories are told, the more awareness raised the advocacy for treatment resources, the better our futures will be. Thank you for sharing your story.